Last couple of weeks have been hard. First my little one got sick, then my daughter and then me. And when I got sick something strange happened and I ended up in the Emergency Room. I get sudden palpitations almost out of nowhere and get shortness of breath. And they come they go. And they can last days without appearing or being frequent. And I had them the night before and the morning I had to go to the E.R. but not while being the whole day there. Took blood samples. Nothing. Then the doctor ordered a Holter Monitor for 24 hours and I'm waiting for the results. I have no idea what can be wrong. I hope it's nothing. We'll see. The other side of this is that the bills are already coming (you know how that goes). So I'm having a sale to raise funds to pay for my medical bills. 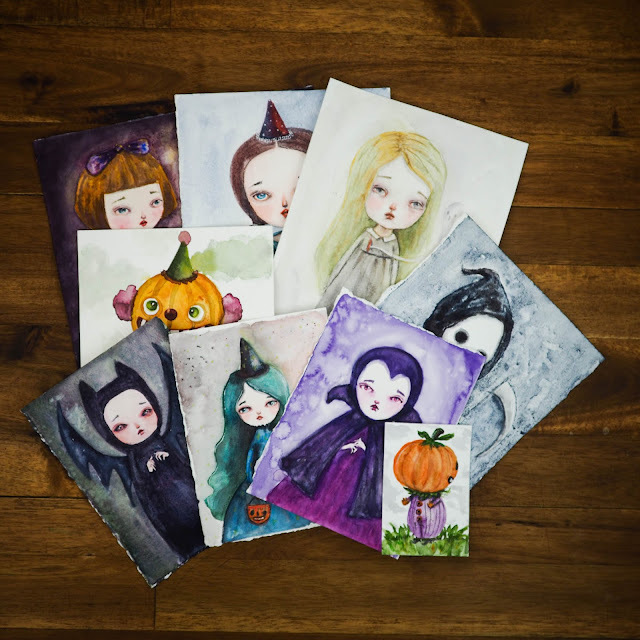 If you want to help and get your favorite prints for a discounted price, now is the time! 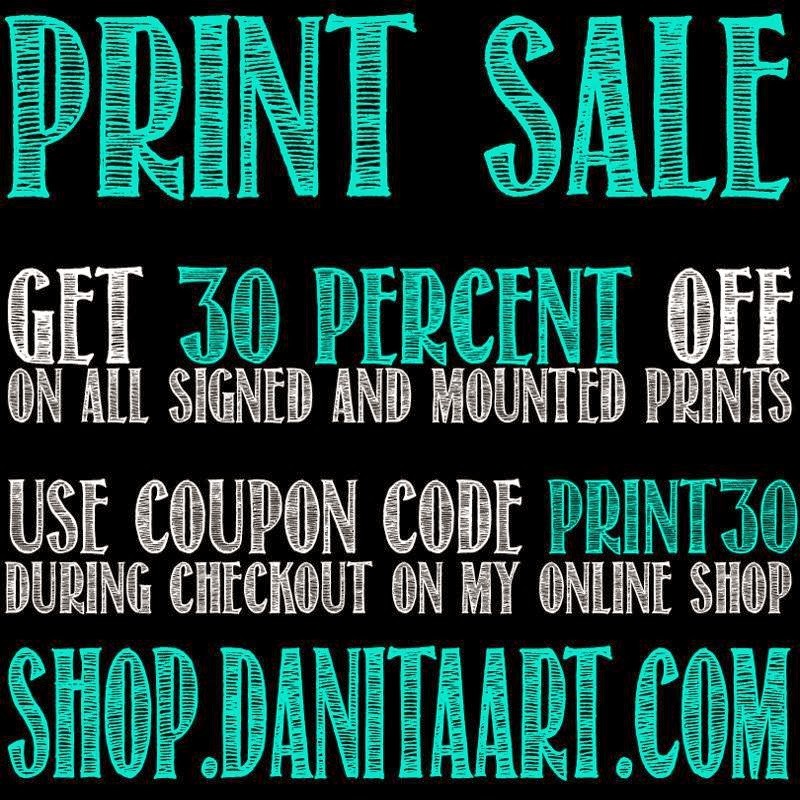 Get 30% off any Print! (mounted and unmounted). Just use coupon PRINT30 during checkout at my Etsy shop. Oh Danita! That sounds just terrible! I hope that your results come back negative and that it was just a one time thing!